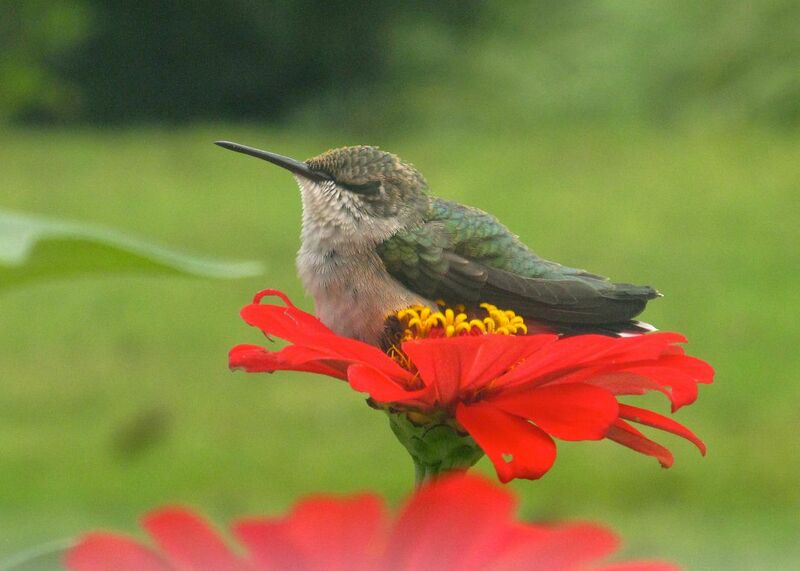 Ruby throated hummingbird napping in a zinnia. Little ruby throated hummingbird napping in a zinnia being swayed in the breeze in backyard garden. Date Uploaded: Sept. 3, 2017, 2:28 p.m.